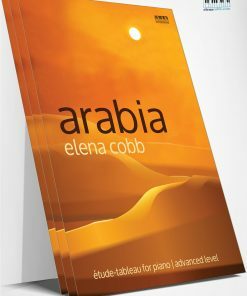 Cloud Seven Latin for piano by Elena Cobb is a terrific solo recital piece for intermediate level in Latin Brasileiro style. 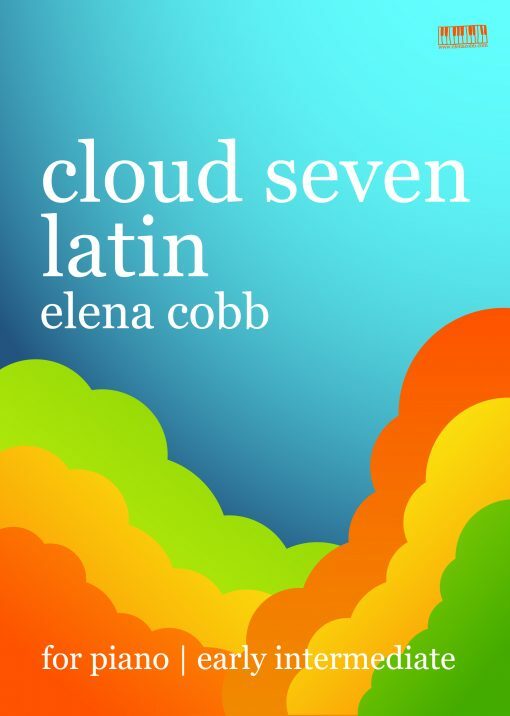 This is an easier version of Cloud Seven Latin included in the Blue River album. Click for FAQ on download. What a fabulous and fun piece! Love the conversations that are going on in this one! This will surely be a winner! too much fun, believe i will go dig out may Latin dance outfit and give it a whirl! So much fun! It is so nice when you immediately can picture a student playing it! Your songs are fantastic !!!! 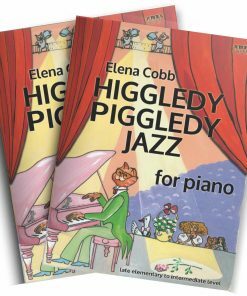 I came across with ‘Higgledy Piggledy Jazz’ and what a change – he is hooked. There is no difficult repertoire only ‘what is right’ repertoire… I couldn’t recommend you more – brilliant, fun and engaging songs. Please upload more videos of children playing your songs – it is very stimulating for other kids to watch it. A vibrant and exciting piece that students are going to love to play. The motivic structure and the strong rhythmic patterns are engaging for performer and audience alike. Sure to be a favorite! Love this exciting piece!! It is so much fun!! I can picture my students playing percussion accompaniments for this piece. 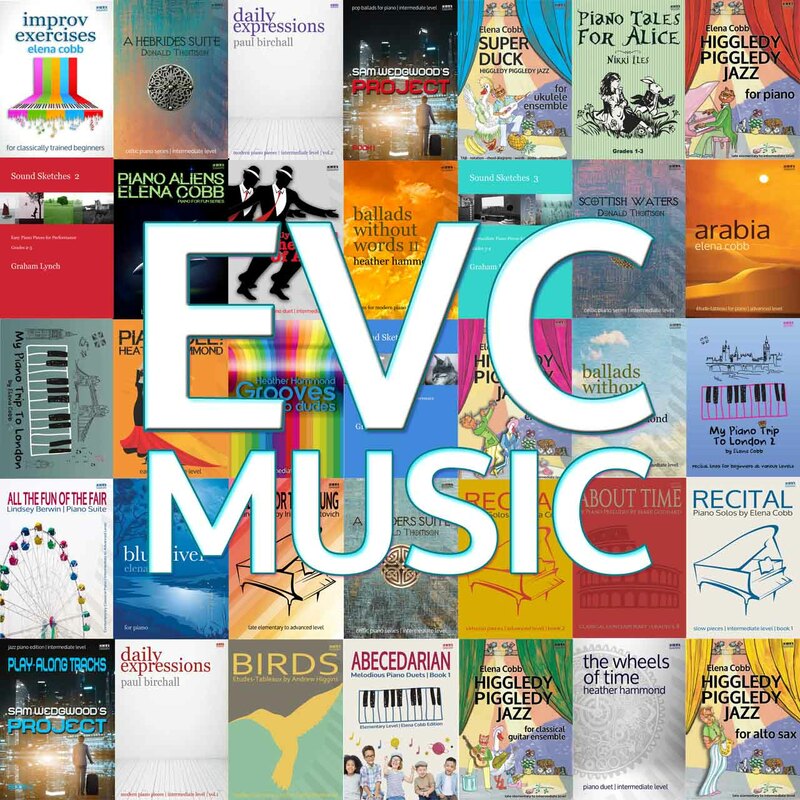 I am a fan of Latin piano and this is an excellent study for syncopation. I will plan this piece for an experienced student, including myself. 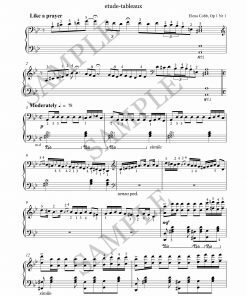 I played it before the ink dried and can’t wait to try it with drums on my digital keyboard! I’m looking forward to playing and teaching this lively and entertaining piece. This is a soothing and yet energizing piece. The rhythmical motifs are fun to learn and perform! Such a cool and fresh piece! Definitely a winner for a summer recital! 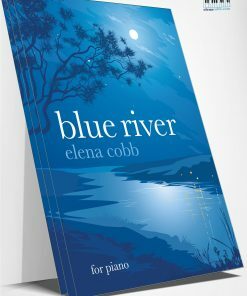 Thank you Elena for your wonderful music! When I got this piece I knew exactly which student would enjoy it. 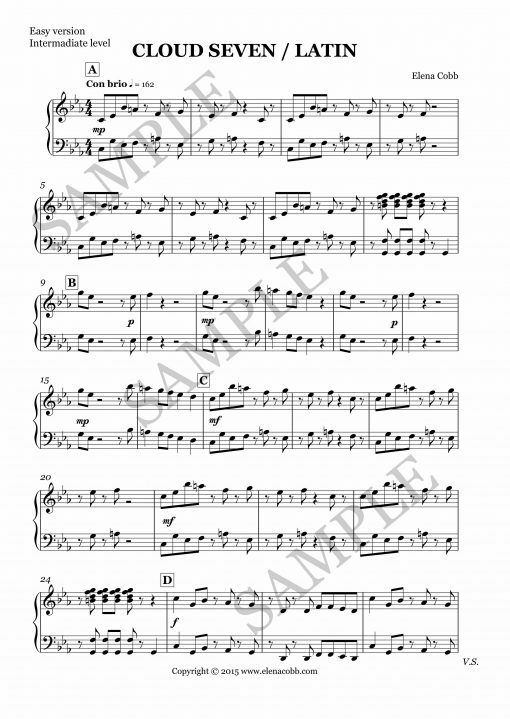 Nathalie loves upbeat, funky rhythms and took to this piece as soon as she heard me play it. The following lesson she had already got most of it hands together, I was very impressed! A fun, vibrant piece that all students will love. Snappy and fun! I love it! A fantastic and exciting piece to learn, can imagine a student is playing this already!! 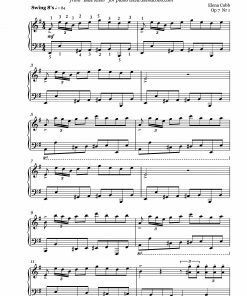 Working on this with a student because it’s engaging and fun, but also so good for getting the ‘feel’ of the rhythm. Thank you! Students love to play music with Latin rhythms and this is will be no exception. Dramatic and engaging! Lovely – lively great piece. love the spiky rhythms and great sense of South American dance! My students will get a great kick out of this one! A great piece for developing confidence. This piece is really fun. Enjoyed it for myself! Good study for syncopated rhythms. 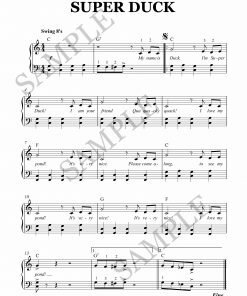 Fun Latin piece with Latin sounding rhythms and chords. What a fabulous piece. ? Latin rhythm- lots of fun! I’m always looking for fun pieces to complement my regular (classical) studies, and this one was really nice to practice and play!